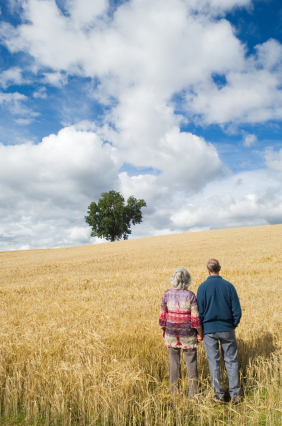 Are We Ready for Retirees? We all know that South Dakota is a wonderful place to retire. The people at MoneyRates.com know that too (via Reimagine Rural). They recently published a list of the 10 best retirement states and SD ranked third best in the nation (Richard Barrington, “10 Best States to Retire,” MoneyRates.com). SD ranks below New Hampshire and Hawaii and just above North Dakota. Why did SD rank so high on the list? MoneyRates.com ranked the states on the following criteria: economics, climate, crime rate, and life expectancy. Our state did very well in economics and crime rate due to our low cost of living and lack of crime. Climate was our weak point but we still fared better than states like ND. How does this information relate to economic development? Attracting retirees to our area would certainly impact our population, our housing market, our business community, and our city’s sales tax income. The members of the baby boom generation are nearing retirement age and that presents an exciting opportunity for those communities that are ready. This is interesting information but the real question is, “Would people really retire to SD?” A study from the USDA Department of Agriculture provides some insights into answering that question. The study describes that baby boomers increasingly want to retire in rural and small-town destinations (Cromartie and Nelson, “Baby Boom Migration and Its Impact on Rural America”, 2009). That is good news because we fit the bill perfectly. Many of the pieces are already in place to make Hand County an attractive area for retirees. However, it will require a community-wide focus to successfully draw retirees here. On Hand Development, our city councils, and county commissioners will need to actively work toward this goal. Our business community, service organizations, faith institutions, and health care facilities all have part to play too. By working together, we can take hold of this opportunity and ensure the long-term vitality of our communities and county. This entry was posted in Retirement and tagged Economic Development, Population, Retirement, South Dakota.